Research suggests that the brain is not fully mature until well into your late 20s. The truth is that being too hard on yourself for your marriage not working out as expected does not serve any helpful purpose, particularly since everyone makes mistakes. Divorce gives you a chance to reflect on your relationship and learn from your choices and actions. It can provide a “stepping stone to personal growth,” according to some psychologists. Even dating advisors sometimes recommend that you take a dating hiatus for a while and spend time discovering more about who you are and what you want before you officially start dating again after your divorce. Those who get married young tend to have fewer assets to divide during divorce, which can actually make the process less contentious. Sometimes mediation can be a good alternative to litigation precisely because the terms of a divorce can thus be worked out more amicably. If you decide to split your debt outside of a formal agreement (facilitated by an experienced attorney and/or mediation), this can complicate things, especially if your ex does not make regular payments where they were supposed to. Even if your ex files for bankruptcy, creditors can go after both of you. In addition, if you are concerned about the finances involved in divorce, remember that if there is a major income difference between you and your ex the court will sometimes require the party with a higher income to pay some of the other person’s legal fees. But remember, they are likely on your side, so don’t allow the fact that they take your side to make you lose sight of what you did to contribute to any discord in the relationship. Obsessing over why the relationship did not work out instead of moving on only tends to make people feel powerless. Focusing instead on what you learned from the experience of being married can feel empowering. As one expert states, “divorce can be a gift if it teaches you.” This can be the chance to define what you must have, and what you will no longer allow for, in moving on. 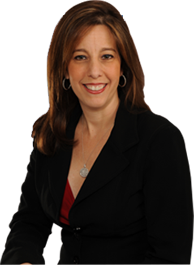 If you are dealing with divorce and you live in the Fort Lauderdale or Boca Raton area, contact Sandra Bonfiglio, P.A. to schedule a consultation and learn about how we can help you. Simply knowing that you do not have to go through it alone can provide you with peace of mind.